At this time of year, many focus on three famous words from the Gospels, but there’s so much more to the story. It’s a message of hope for all of us. He is risen! He is risen! He is risen! He is risen! He is risen! Yes, He is risen, but now what? I imagine that same question was hanging in the minds of the disciples when they first heard the news. After 3½ years of walking with them, Jesus—their friend and Master—was dead. Their hopes for the restoration of the kingdom of Israel were dashed to pieces. Everything they believed in appeared to be in shambles. And then the news: “He is risen!” Incredible. Unbelievable. Impossible, even. But that’s what the angel said to the women who had gone down to His tomb only to find it empty: “Do not be alarmed. You seek Jesus of Nazareth, who was crucified. He is risen! He is not here. See the place where they laid Him” (Mark 16:6). In time, all the disciples—and over 500 believers (1 Corinthians 15:6)—would come to see the resurrected Christ. There could be no denial, no room for doubt: He was alive. He had risen. The disciples found an answer to that question, but it took time. It was Jesus Himself who gave them their first clue. “Then He said to them, ‘Thus it is written, and thus it was necessary for the Christ to suffer and to rise from the dead the third day, and that repentance and remission of sins should be preached in His name to all nations, beginning at Jerusalem. And you are witnesses of these things’” (Luke 24:46-48, emphasis added). The problem with sin is that it corrupts. It destroys. It causes pain and suffering to ourselves and to others. God cannot, will not, abide sin. Because of its destructive nature, God justly established the penalty for sin—all sin—as death. Sin requires a life, and the power of Christ’s death is that it pays that requirement for all of those willing to repent of their sins and accept that sacrifice. But that still doesn’t answer our question. Christ died to pay the penalty for our sins, but now what? Where do we go from here? What do we need to be doing? “What shall we say then? Shall we continue in sin that grace may abound? Certainly not! How shall we who died to sin live any longer in it? Or do you not know that as many of us as were baptized into Christ Jesus were baptized into His death? Therefore we were buried with Him through baptism into death, that just as Christ was raised from the dead by the glory of the Father, even so we also should walk in newness of life. “For if we have been united together in the likeness of His death, certainly we also shall be in the likeness of His resurrection, knowing this, that our old man was crucified with Him, that the body of sin might be done away with, that we should no longer be slaves of sin” (Romans 6:1-6). Yes, Christ is risen, but that's only half the story. The other half is that we must rise too. There it is. In a nutshell, Paul has answered our nagging question. Christ died for our sins, not so that we could continue in those sins, but so that we could be free of those sins and leave behind the lifestyles that produce them. Life after repenting and accepting the sacrifice of Jesus Christ is anything but business as usual. Using the forgiveness that comes from that sacrifice as license to continue sinning is like getting a suit dry-cleaned just to go roll around in the mud with it. It’s self-defeating. Yes, Christ is risen, but that’s only half the story. The other half is that we must rise too. As followers of God, we must be continually seeking to “put to death the deeds of the body” (Romans 8:13) while walking in newness of life. Earlier we saw Paul’s reminder that “if we have been united together in the likeness of His death, certainly we also shall be in the likeness of His resurrection.” That wasn’t just flowery language. The Bible foretells a literal future resurrection where God’s called, chosen and faithful are given new life and welcomed into His family—a resurrection made possible by Christ’s own triumph over the grave (1 Corinthians 15:20-22). Beyond that, God has another resurrection planned for the billions and billions who never truly knew Him in this life—a time during which they, too, will receive an opportunity to join His family (Revelation 20:12; see our article “Are Most People Eternally Lost?”). 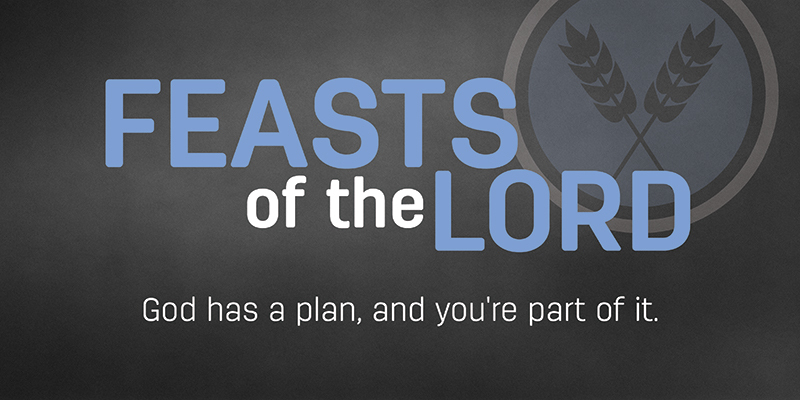 God’s plan didn’t end at the resurrection of Jesus Christ. On the contrary, that resurrection set the stage for the rest of His plan—and the rest of our lives along with it. The death and resurrection of Jesus Christ is where we start. It’s where we acknowledge our shortcomings, our failures and our sins. It’s where we recognize the need to hold ourselves accountable to God’s standards, and it’s where we embark on a lifelong journey to follow in the footsteps of our Lord and Savior. As Paul wrote, “For if we died with Him, we shall also live with Him. If we endure, we shall also reign with Him. If we deny Him, He also will deny us. If we are faithless, He remains faithful; He cannot deny Himself” (2 Timothy 2:11-13). It’s not an easy journey. We’re going to make mistakes. We’re going to come up short more often than we’d like. We’re going to miss the target and find ourselves in need of the cleansing blood of Christ’s sacrifice again and again. But despite all the difficulties, despite all the hurdles and rough terrain standing between us and our goal, this is a journey that ends with hope. The writer of Hebrews encourages us to “run with endurance the race that is set before us, looking unto Jesus, the author and finisher of our faith, who for the joy that was set before Him endured the cross, despising the shame, and has sat down at the right hand of the throne of God” (Hebrews 12:1-2). Jesus died, but He is risen. More than that, He now sits at the right hand of the very throne of God, serving as a High Priest who “was in all points tempted as we are, yet without sin. Let us therefore come boldly to the throne of grace, that we may obtain mercy and find grace to help in time of need” (Hebrews 4:15-16). We have a High Priest who not only intimately understands the difficulty of our journey, but who lived and died so that we can succeed. That same High Priest—Jesus Christ, the very Son of God—now exists as “the firstborn among many brethren” (Romans 8:29), a beacon of hope, encouragement and strength for all those who seek to enter the family of God. The marquee signs are right—He is risen. The importance of that fundamental truth can never be overstated. But what those signs neglect to tell you is that the story doesn’t end there. Yes, He rose. But one day, you will too.